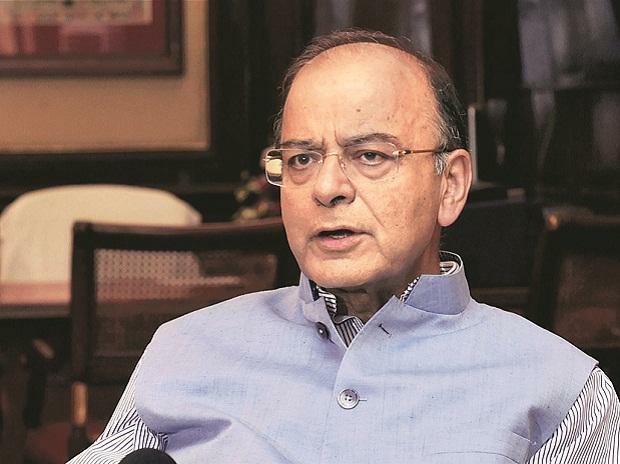 Union Minister Arun Jaitley on Tuesday slammed opposition parties backing West Bengal Chief Minister Mamata Banerjee's ongoing sit-in protest against the Centre and called them the "Kleptocrat's Club" that "aspires to capture the reigns of India". In a blog, Jaitley hit out at Banerjee, dubbing her act as a "disproportionate over reaction" aimed at projecting herself as a "nucleus" of opposition parties. "Mamata Banerjee's disproportionate over-reaction to the CBI wanting to interrogate the Kolkata Police chief has flagged several issues for a public discourse. The most important being that a Kleptocrat's Club now aspires to capture the reigns of India," he said. "If a police officer is required to be interrogated, how does it become a 'super emergency', 'assault on Federalism', or 'destruction of Institutions?" he asked. The senior Bharatiya Janata Party (BJP) leader said Banerjee's strategy in inviting all other opposition leaders to join her protest in Kolkata was to defocus from other opposition aspirants for the highest office and to project herself as the nucleus of India's opposition. "Her speeches attack Prime Minister Modi but her strategy is aimed to defocus some of her other colleagues in the opposition and hogging the centre stage," he said. "There are Central agencies and organisations which conduct legitimate investigation in states. Today the CBI is being brutally prevented by physical force and detention of its officer from investigating a crime legally within its jurisdiction, in the state of West Bengal. "It is a textbook illustration of a state government assaulting federalism. Can a state government prevent the Income Tax Department from collecting taxes? Can another state government prevent the NIA from proceeding to arrest a terrorist located in the state? Can the Enforcement Directorate be prevented from investigating or arresting a smuggler or money-launderer physically located in a state?" he queried. "The prevention of a central investigating agency discharging a function given to it by the Supreme Court is a direct assault on federalism," he said. Slamming the Banerjee's supporters, he said they themselves were battling serious economic improprieties, criminal misconduct and even corruption allegations. "Can 'new India' be ever run by this Kleptocrat's Club?. "Most of them, or their affiliates are today being investigated, prosecuted and in some cases have also been convicted for crimes of corruption. Her ally from Bihar represents the party of the convicted. The friend from Andhra Pradesh runs a party of contractors, 'thekedaars' and money-launderers. "Her two friends from Uttar Pradesh represent the scandalous legacy of corruption. Her anarchic brother from the Delhi government is at his wits end because the penny stock companies of his ministerial colleagues have been found out," he said referring to opposition leaders: Rashtriya Janata Dal's Lalu Prasad, Andhra Pradesh Chief Minister N. Chandrababu Naidu, Samajwadi Party chief Akhilesh Yadav, Bahujan Samaj Party supremo Mayawati and Delhi Chief Minister Arvind Kejriwal. Continuing his attack, Jaitley slammed Congress President Rahul Gandhi for "shoulder-to-shoulder" support to the scamster. "This somersaulter belongs to the first family of the Congress where most members of the family are on bail." "It has also been argued that the choice in the next Election will be either Modi Vs. Chaos or Modi Vs. Anarchy. "Mamata Banerjee's latest acrobatics are the best evidence of the kind of governance India's opposition can provide," he said.